Give your VVIP the best appreciation with no less than a red carpet treatment. A variety of luxury cars available for limo services. We do transfer, airport & wedding limousine services in Singapore. *One Way & Airport Transfer only applicable on Rolls Royce. We provide the best car in the market and make sure our vehicle is in its best condition. We know your time is valuable. Punctuality is in the heart of our service. Hassle-free, we make sure our car are full to accomodate your trip without delay. In business world, you need to make your guest feel important. We do all the best for our VVIP, and transportation is one of it. So we need to make sure everything is on schedule and on top quality. 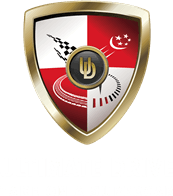 We can say we are not disappointed with Ultimate Drive so far. Thanks guys & keep it up! Thanks Ultimate Drive, We got our VIP Guest pick up covered beautifully. Its complete their journey well. When my boss said we have VVIP coming next week, I start to panic.. Lucky I found that Ultimate Drive have disposal service for Rolls Royce. It just what I need. Thanks for the great service! Please contact +65 8838 7997 (Budd) or fill in the form below for more information.